Crochet Definition -- What Is Crochet? Crochet is a needlework technique performed using a crochet hook plus fiber or other similar material. Most typically, this material is yarn or crochet thread, but it might also be fabric, wire, twine, or other innovative material. The most popular goal in crochet is obvious: Crochet enthusiasts hope to complete crochet projects, which are typically objects that are useful, attractive or beneficial in some way. Popular projects include afghans, baby blankets, baby booties, scarves, hats, granny squares, shawls, purses, tote bags and others. It's possible to crochet a variety of different things, including jewelry, socks, and curtains. Also, it's possible to crochet various components to use in other items. For example, crochet trims and edgings are popular projects; you can apply them to crocheted items, knitted items, and sewn items (including ready made store-bought items.) For example, you could buy some socks, towels and / or pillowcases, and add a crocheted edging to each. Crochet appliques are also popular projects. Not all crocheters are concerned with completing crochet projects. There are other goals, benefits and advantages to crochet besides just the projects. If you're interested in learning these stitches, free instructions are available on our website. Visit our page about how to crochet for more details. You can see pictures of these and other stitch patterns in our photo gallery of crochet stitches. Free instructions are available for each stitch pictured in the gallery. A crochet pattern is a set of instructions for crocheting an item, or sometimes a related set of items. Some crochet patterns are also available for sale. There are many crochet books that contain groupings of crochet patterns. There are magazines dedicated to crochet, and also craft magazines and general interest magazines where you'll also find crochet patterns included. Usually, crochet designers write their patterns using abbreviations to save space. In order to read a crochet pattern, you have to understand this and familiarize yourself with the abbreviations included in the pattern. You'll usually be able to find the abbreviations in a logical place. With the patterns we've posted on our website, we put the abbreviations close to the top of each pattern, before the instructions. We also make a master list of crochet abbreviations available on our website. If you're pattern is from a book or magazine, you'll usually find the abbreviations listed somewhere in the front or the back of the publication. People often confuse crochet with knitting. The techniques do share common elements; for example, both crocheters and knitters utilize yarn to create their projects. It is possible to create similar types of projects with either technique: afghans, shawls, hats, scarves, etc. At a glance, you can tell whether a person is knitting or crocheting by looking at the tools (s)he is using. If (s)he's using a hook, (s)he's crocheting; if she's using two pointed needles, or perhaps a circular knitting needle, (s)he's knitting. Who Can Crochet? Could You? Is Crochet the Right Hobby for You? If you've never crocheted before, you might be wondering if it's a worthwhile pastime, or if it's something you have the right skillset to get involved with. Does it take special talent to crochet? The answer to that is NO! No special talent is required at all. And, you probably have the right skillset as well. The good news: just about anyone can crochet. There are young children who crochet, and extremely old people too. Both women and men crochet. People from all over the world crochet. People with disabilities crochet, and that even includes blind people. Poor people crochet, and so do rich people. 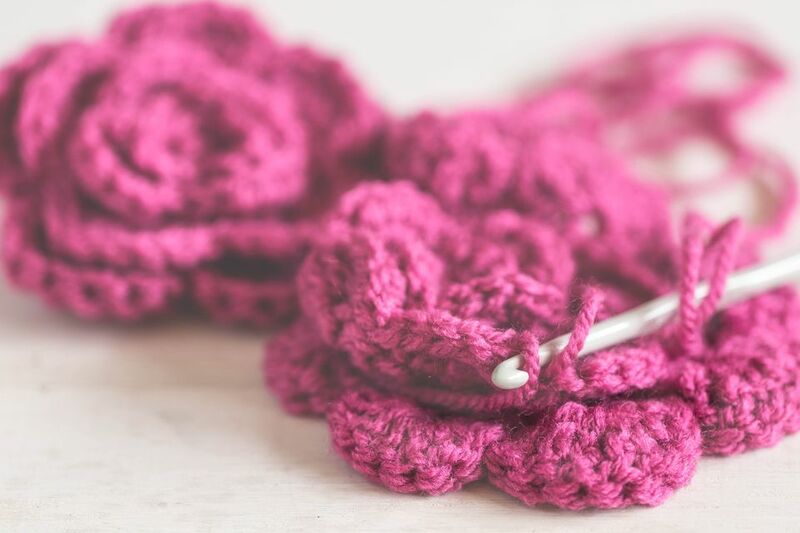 With crochet, There are very few barriers to entry, but there are a few considerations you might want to be aware of before you get started. For more info and a brief checklist of things to consider, see is crochet the right craft for you? Crochet can be either a solitary activity, or a group activity. It works well either way. If you'd like to get social with your crocheting, there are bunches of ways to connect with other crochet enthusiasts. Get involved with crocheting for charity. Check out crochet blogs for timely information written by various crochet bloggers around the web. My grandma crocheted an afghan for me. I enjoy crochet, but my sister enjoys knitting. Crochet shouldn't be confused with croquet, which is a game.